Jarrah Honey, strange name. If like me you enjoy a taste of honey that is packed full of antioxidants this organic honey is one of the best. Just one spoonful of this superb honey is equal to one of the five a day fruits and vegetables recommended by health specialists we should eat each day. A superb addition to your honey diet and for the use of medical benefits of honey too. Where Does Jarrah Honey Come From? Mainly from a Western Australian forest, it is unique to this area which extends from North of Perth all the way to the Southern area of Albany. Honey bees have a great time in this area when the nectar flows from the Jarrah tree, however it only blossoms once every two years during Australia’s summer time. The trees themselves are huge growing as high as 40 meters, their blossoms are creamy white spreading from the tips of each branch until the whole tree is covered, a honey bees dream! Imagine being near to this area, a place of outstanding beauty. The Jarrah forest where this highly unusual tree grows is far away from any form of pollution. Each tree can live for as long as a thousand years and is literally smothered with its beautiful, sweet smelling flowers. This is an extremely rare tree whose roots penetrate so far into the soil it doesn’t have much trouble re-growing if there were to be a forest fire or severe drought. 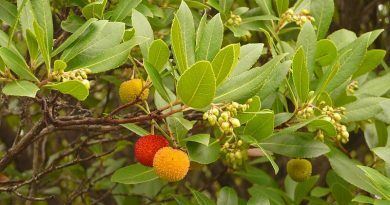 Its name actually derives from the Aboriginal term for tree. What Makes Jarrah Honey so Special? 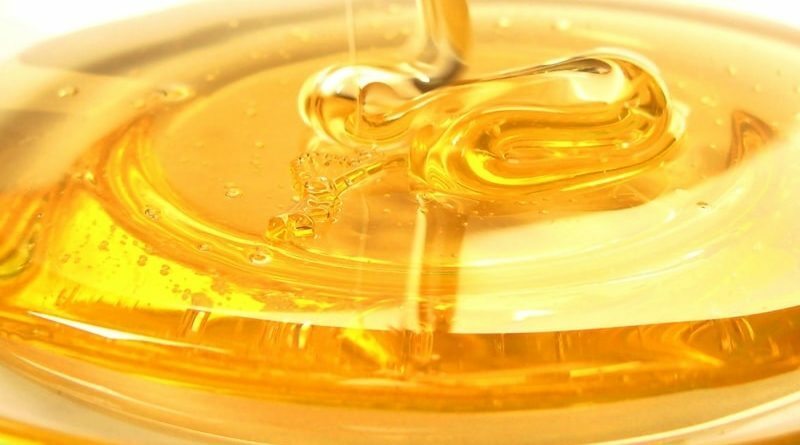 It has incredibly high antibacterial, antimicrobial properties and as a medicinal honey when applied to damp skin or eaten is capable of producing very high natural hydrogen peroxide activity. This is what makes it such an incredible healing honey. 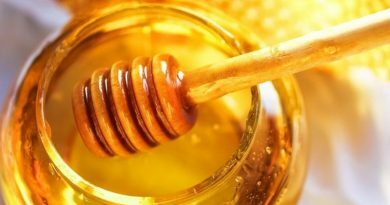 If you are lucky enough to be able to purchase some for your own use, my benefits of honey article will help to give you some great tips on how to use it. It is claimed to have a low glucose level but much a higher fructose level than many other honeys. 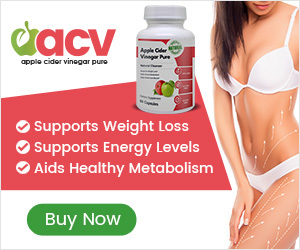 Because of this, it is even suitable for some diabetics, who must always be careful with their sugar levels but should not be denied and able to enjoy a taste of honey. Just as Manuka Honey has what is known as UMF which means Unique Manuka Factor, Jarrah Honey is tested and branded with TA which stands for Total Activity. The higher the TA the more healing it will be. It has been used very successfully in treating all types of staphylococcal infections which can occur on our skin and even cause blood poisoning if they enter our systems through something as simple as a cut. This honey would be an excellent choice to use for skin infections, even boils and the dreaded Impetigo which can run rife in children. And if you found yourself to be a victim of food poisoning, swallowing this is likely to have you feeling better in no time at all. Never underestimate the power of a really good honey such as this one. What Does Jarrah Honey Look and Taste Like? This can be quite a thick but clear honey which is similar in texture to Manuka honey. It is not particularly sweet compared to many other honeys and can be quite a dark brown color. The color and taste will always vary from year to year mainly due to weather conditions and there are times when this particular honey will be lighter and runnier in both texture and taste. It can taste a little like eucalyptus because the nectar collected by the bees actually comes from a tree which is related to the eucalyptus family. If you allow it to just melt on your tongue you will experience a lovely caramel aftertaste which is what we expect each time we have a taste of honey. What is Jarrah Honey Good For? This honey has been tested thoroughly on open wounds which have healed far more quickly than by using those steroid based creams and potions doctors so love to prescribe. It is also highly recommended for its benefits of eating honey, due to its ability to kill off so many antibiotic resistant organisms. This is where they have swallowed a lot of sand that sits in their stomachs which they cannot easily pass. It can be fatal. By adding Jarrah Honey to their feed which contains bran it passes naturally through their intestines working far better than normally prescribed treatments.